Free shipping. Buy direct from HP. 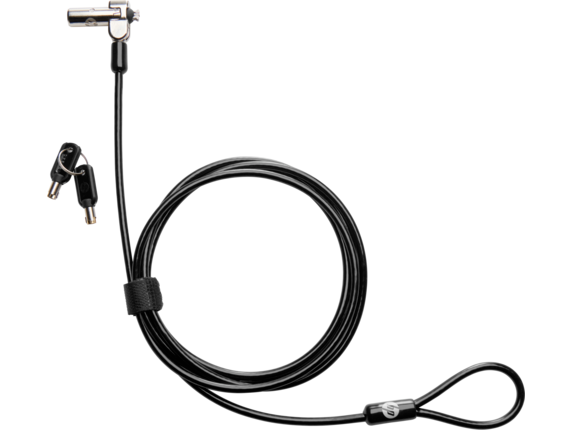 See customer reviews and comparisons for the HP Nano Keyed Cable Lock. Upgrades and savings on select products. Wrap the 6 ft (1.83 m) vinyl-coated, galvanized steel cable around any secure object and attach to your notebook or tablet. Insert the key into the lock and turn clockwise 90 degrees. Use the 360-degree range to position the cable lock head as needed.